Safely laminates legal size documents up to 8 1/2" x 14", providing a 1/4" sealing edge on all 4 sides of laminated document. 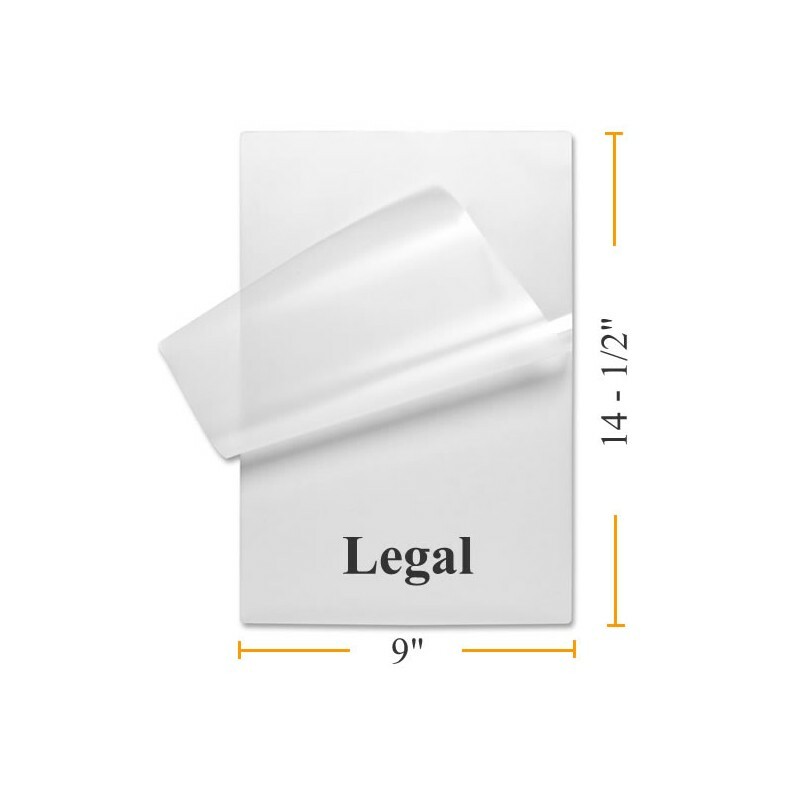 Legal Size Lamination Pouch Measures: 9" x 14 1/2"
Our quality, low cost heat seal legal laminating pouches are comparable to GBC, IBICO, Scotch, 3M and other brands available at major office supply retailers. Our standard laminating pouches can be used in most hot laminator machines. Check your laminator user guide for maximum pouch width and thickness. Protect important paper documents from UV rays, folding, spills and general damage with lamination. These easy to use, legal size A4 heat activated lamination pockets offer a cost effective way to protect your documents. Lamination pouch is made of 2 sheets of laminating film that are sealed on one edge. Document is placed between the two sheets of film and loaded into hot pouch laminating machine. Looking For An Even Better Price on Laminating Supplies? 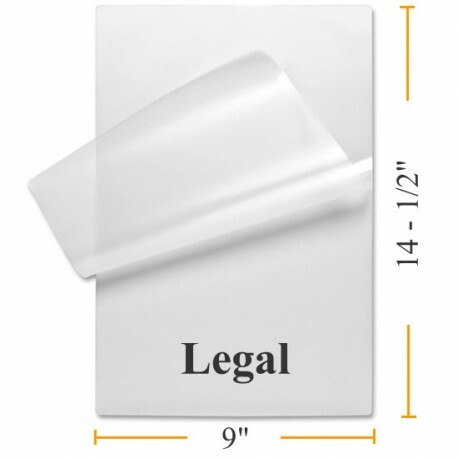 Take a look at our Discount Legal Laminating Pouches Bulk Prices! ALSO, we offer a Price Quote for large volume one time orders and a Preferred Customer Program for those who order frequently. Let us beat your current vendor's pricing! Our excellent customer service and prompt shipping will make you happy you switched to BuyLamination.com!